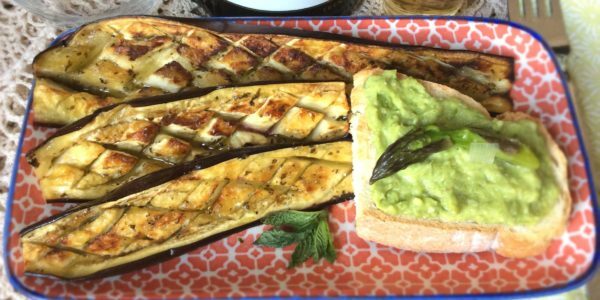 Baked aubergines with balsamic vinegar, mint, and lemon are a feast for your taste buds. 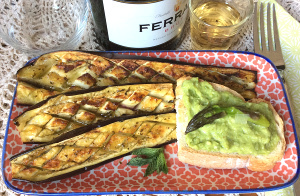 They are great to accompany meat, fish, cheese or a coloured bruschetta with asparagus paté– as we did. This recipe is an ace in the hole when you have unexpected guests (even vegan or vegetarian guests). You will be delighted with its zesty mix of flavours. 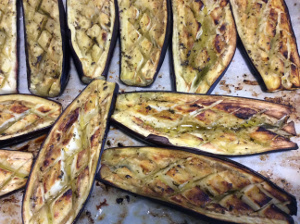 Baked aubergines with balsamic vinegar, mint, and lemon. Peel half lemon paying attention to take only the yellow part. 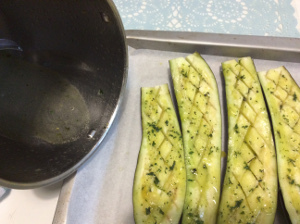 Cut it into thin strips (alternatively, you can grate the lemon). 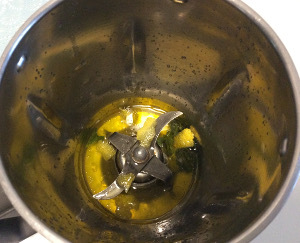 To prepare the sauce: In a bowl mix the lemon peel, the lemon juice, extra virgin olive oil, and about ten mint leaves. 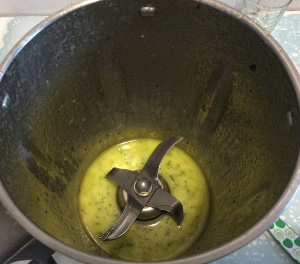 Mix well and finely chop mint leaves by using an immersion blender (as an alternative you can pour all the sauce ingredients directly into a blender – as we did). 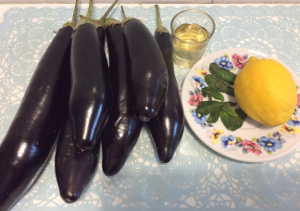 Wash and clean the aubergines and divide them in half. 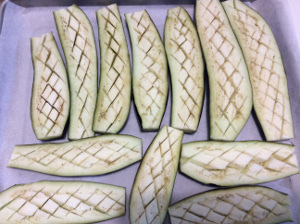 Using a sharp paring knife, cut a diamond checkerboard pattern in each aubergine (the cuts should be fairly deep but be careful not to go through the peel). 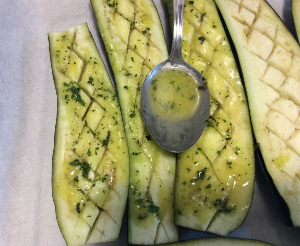 Add a pinch of salt and ground pepper, then pour the sauce over the surface of the aubergines. Pour half glass of warm water into the blender where you mixed vinegar, lemon, mint, and mix in any leftover bits. Pour this liquid into the pan making sure you pour it between the aubergines not over them. This ensures that the aubergines do not dry out during cooking and that you extract all the flavours from the sauce. Bake in the oven at 180 ° (preferably ventilated) for about 15 minutes. Before serving, add a few more drops of balsamic vinegar and decorate with mint leaves. Pair this recipe with a good glass of dry white aromatic wine or sparkling wine. We prepared a bruschetta with a delicious asparagus paté. You can get the same extraordinary result by using our Asparagus paté. As an alternative and to add colour, you can prepare a mix of coloured bruschetta by using our sundried tomato paté or cannonata.